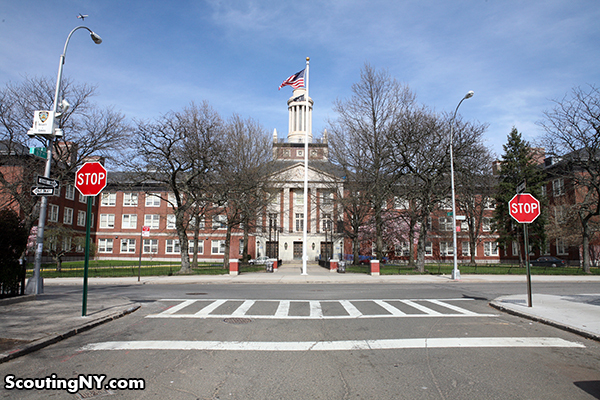 Forest Hills High School, seen from the intersection of 67th Avenue and 110th Street. The Ramones sign will be installed on the lamppost seen in the right of the picture. Photo by Nick Carr/Scouting NY. 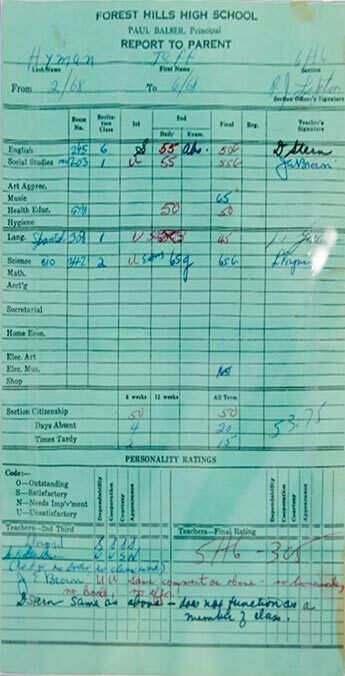 Report card for Jeffrey Hyman (Joey Ramone) from Forest Hills High School. A comment from his English teacher notes that Joey “does not function as a member of class.” His highest grade, a 65, was for music. New York City, and the borough of Queens, continues to honor the Ramones during this 40th-anniversary year. On Sunday, October 30, the corner of 67th Avenue and 110th Street, in front of their alma mater Forest Hills High School, will be christened “The Ramones Way.” This follows a year of Ramones activities and events that kicked off with the opening of the exhibition Hey! Ho! Let’s Go! Ramones and the Birth of Punk at the Queens Museum, a mile from Forest Hills High. The commemorations continued with Ori Carino’s mural of the four musicians at Thorneycroft Ramp, a group hang-out at 66th Avenue and 99th Street in Forest Hills. The street naming was instigated by Forest Hills’ representative in City Council, Karen Koslowitz. The ceremony begins at 11 a.m. on Sunday, and will include musician and author Mickey Leigh (Joey Ramone’s brother), the Ramones’ former manager Danny Fields, and their former tour manager, Monte Melnick. The program also includes Gallery 98’s Marc H. Miller, co-curator of Hey! Ho! Let’s Go! Ramones and the Birth of Punk, which is on view at the Grammy Museum in Los Angeles through February 28. 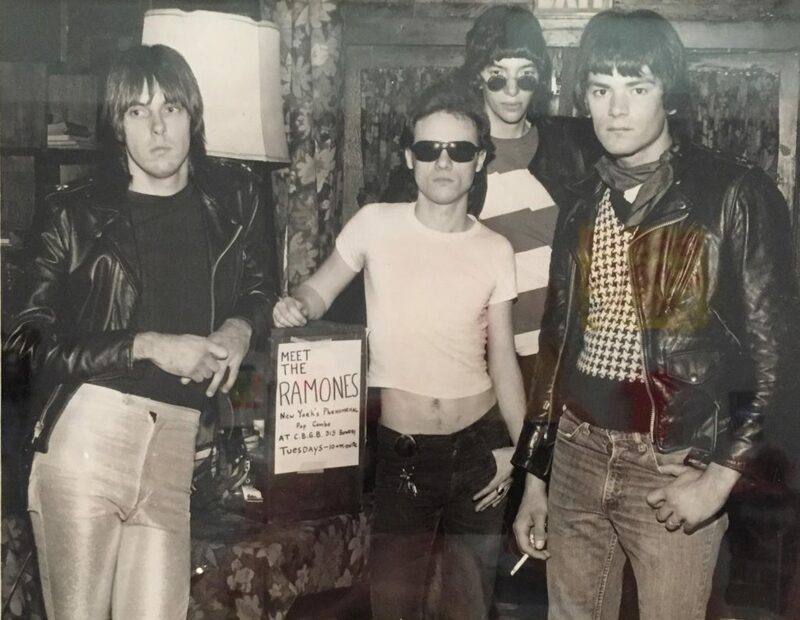 Earliest known photo of the Ramones, likely taken in late 1974, while they were still living in Queens. Johnny, Tommy, Joey, and Dee Dee (left to right) first crossed paths while students at Forest Hills High School, several years before forming the band.